Give out your business cards with this stylish card card case. OUT OF STOCK: Sorry, we are currently sold out of the 'Magnetic Closure Leather Business Card Holder*'. If you have further questions, please call our customer loyalty team at 1-800-793-3924. Style is an important element of business. The way people perceive you will play a large role in how they ultimately perceive your company. When presenting someone with a business card, you are giving them what is essentially an ambassador to your business, a piece of card stock that will represent the quality and care of that institution and its ability to fulfill the potential customers needs. In such a scenario, the way you present the card is almost as important as the card itself. By having a sleek stylish container such as this magnetic closure leather business card holder, you will gain a perceptible edge, instilling trust and respect in the person you are trying to sell to. This attractive business card holder featured a textured leather surface with a soft brown shade that contrasts handsomely with the silver clasp which rests at the front. The magnetic flap holding the piece closed snaps opens, allowing you to present your companies cards with bravado and style. 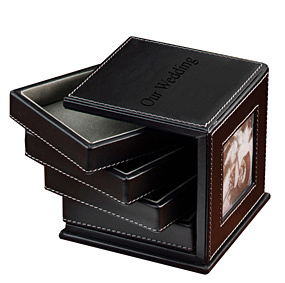 This business card holder also comes with optional engraving, allowing you to personalize that silver front clasp with any name or short message you want. It can include a very short motto, a single word to inspire confidence or intrigue or the name of the business you are trying to promote. 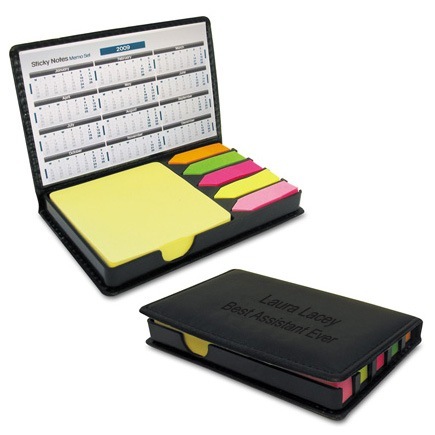 This can be a great gift for the burgeoning business man or businesswoman in your life. Purchase it as a graduation gift engraved with their name or whenever they get their first job in an office. There are a wide variety of executive accessories which you can mix and match with this item, either to create your own business arsenal in order to create a gift basket for your boss or for a client. You have items such as the zippo leather credit card and silver money clip, the wood base business card holder and pen set, the engraved silver notepad holder, and the executive silver ball point USB pen, which can all add to the chic style of your professional image. The magnetic closure leather business card holder is crafted from brown leather and magnetic metal. 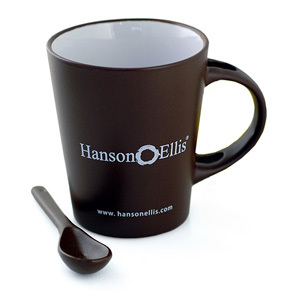 You can find more great executive gifts like this one in theoffice and desk accessories section of this website.